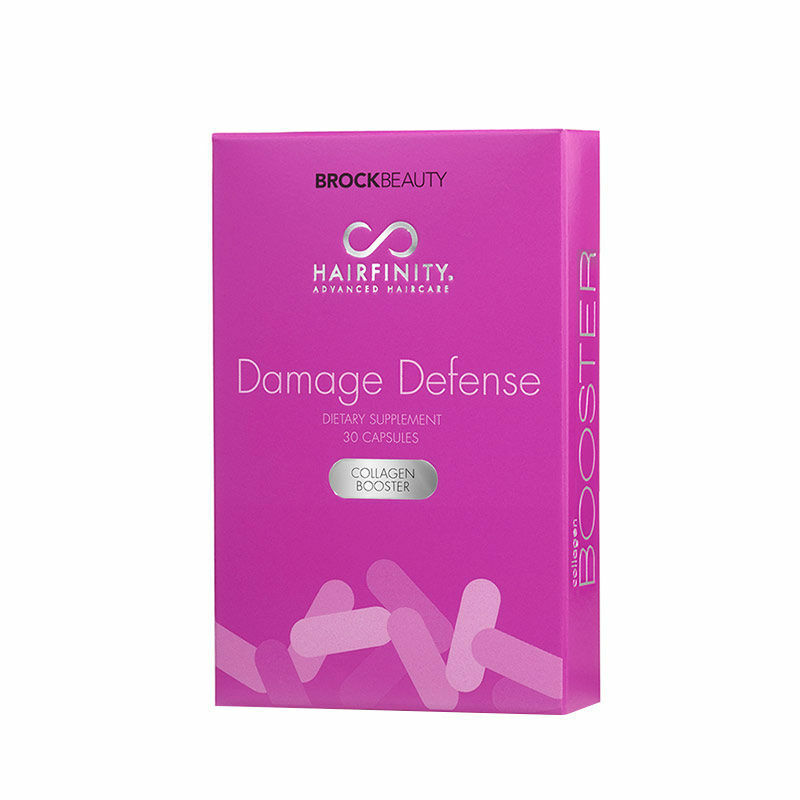 Improve the appearance of your hair with Hairfinity Damage Defense Collagen Booster, a nutritional collagen supplement that effectively boosts hair's natural defence against ageing and external factors. Promoting re-energised hair, the dietary supplement contains hydrolyzed collagen, a peptide and antioxidant that contains 18 essential amino acids to support hair's internal structure for stronger, healthier-looking tresses. Boosting hair's natural supply of collagen, it will help to maintain thriving hair. Cruelty Free. Gluten Free. GMO Free. Soy Free. About the Brand: Founded in 2004, Brock Beauty believes beautiful, healthy skin and hair starts from within, using safe, natural ingredients in formulas that are customer proven to revitalize hair and skin from the inside and outside. 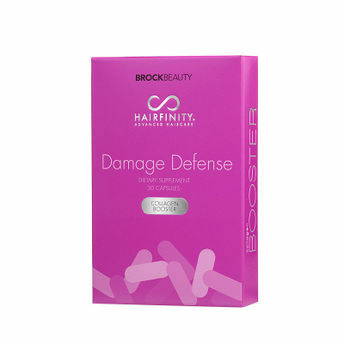 Committed to delivering lasting results with affordable, healthy solutions to enhance and preserve your natural beauty, Brock Beauty is continuously researching new formulas to improve its existing line of products and to help create new ones that will better serve customers seeking quality solutions for healthier skin and hair.